Minato a lively, recently played a lot of HAM circle MMDVM digital radio gateway, preliminary statistics, as of 2017-10-13, China lovers access 525 (DMR id registration number). 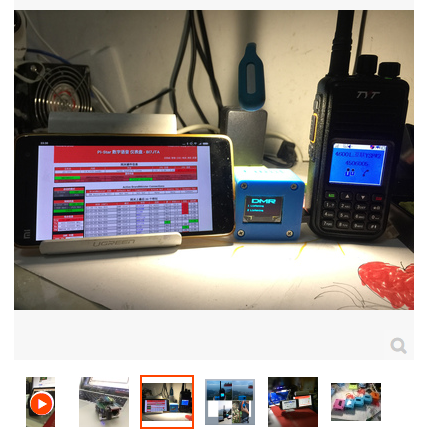 Many HAM first heard of MMDVM, do not know what to do with the original introduction of more information in English, the domestic ham is mostly written and description of the project configuration, partial technology, in order to let Xiao Bai quickly get started, the Bo to understand their own understanding Look, lead you into the pit, non-professional writers. MMDVM (Multi-Mode Digital Voice Modem), Chinese translation: multi-mode digital voice modem. Simply put is digital voice cats, digital radio Internet gateway, to achieve a variety of digital formats, such as C4FM / DMR / D-STAR / P25 protocol global Internet. It is the UK open source project launched by HAM G4KLX, the statement for the GPL v2 protocol, to become an open source multi-mode digital voice modem, using the ARM processor and a simple analog interface board. Initially, it will support D-Star and DMR, system integration and P.25 will be introduced later, as well as a built-in FM repeater controller. For all modes except DMR and FM, the modem can be used in Simplex or Duplex mode and must be used for DMR and FM Full Duplex (part of the translation from Internet material). Andre VE 3W ZW.net. Awesome Inc. theme. Powered by Blogger.